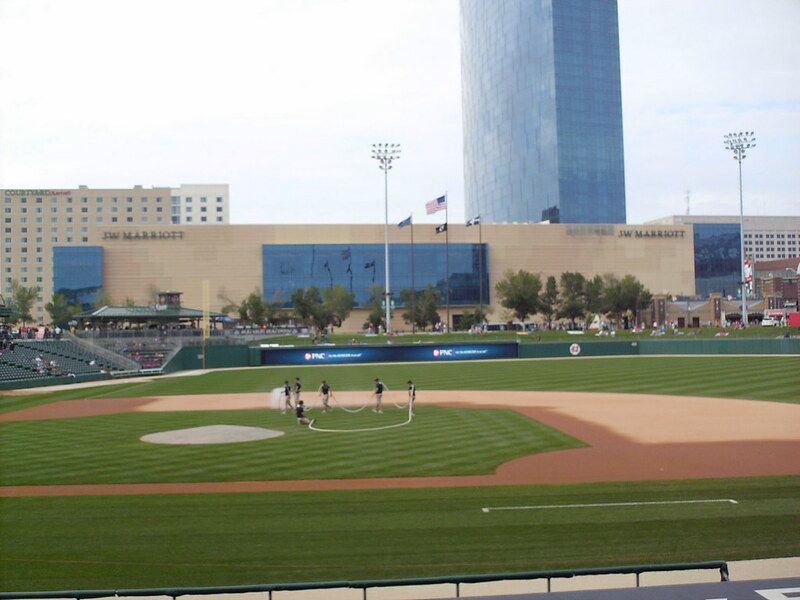 The view from behind home plate at Victory Field, looking out into downtown Indianapolis. 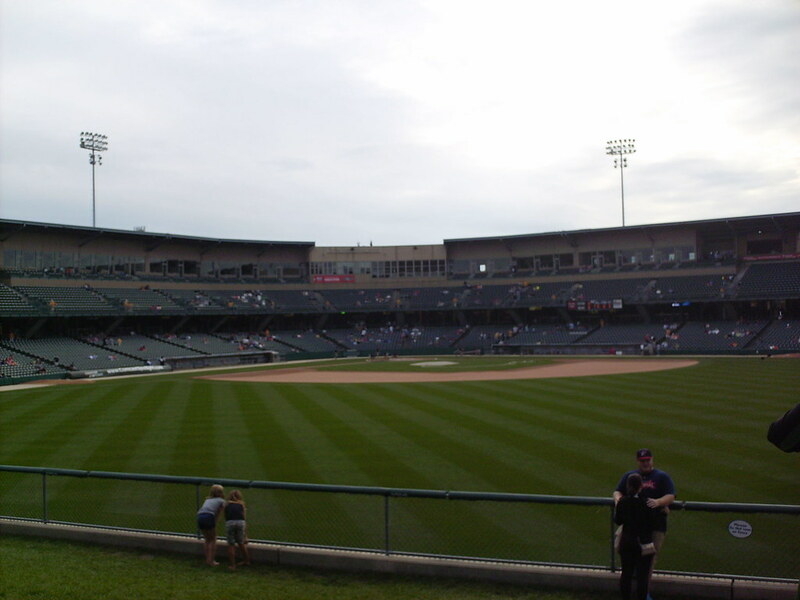 The grandstand at Victory Field as seen from center field. 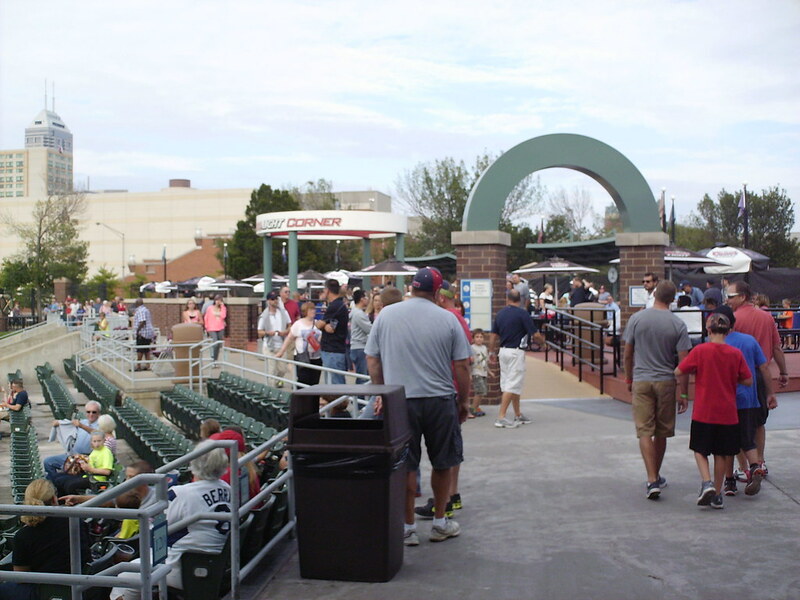 The pressbox and luxury suites behind home plate. 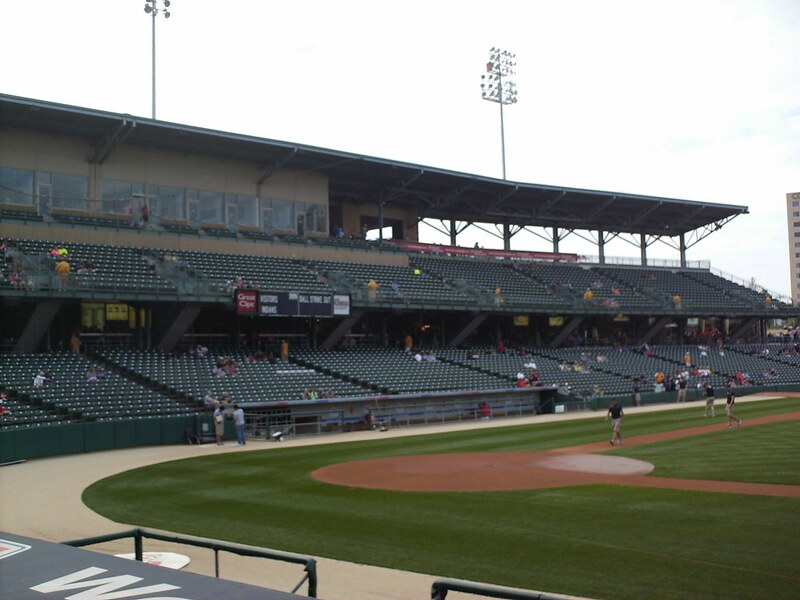 The upper deck at Victory Field is one of the largest in Minor League Baseball but is relatively close to the field as the first deck is relatively small. 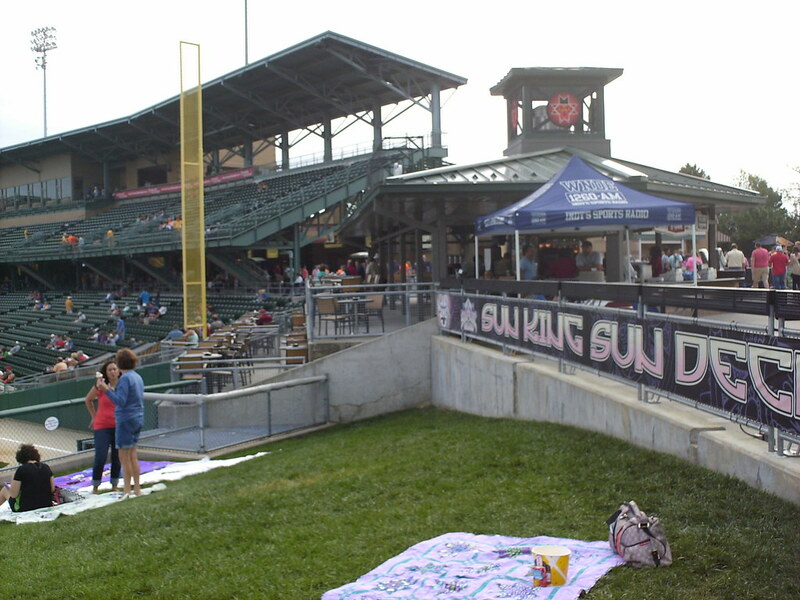 A party deck and picnic table seating in the left field corner. 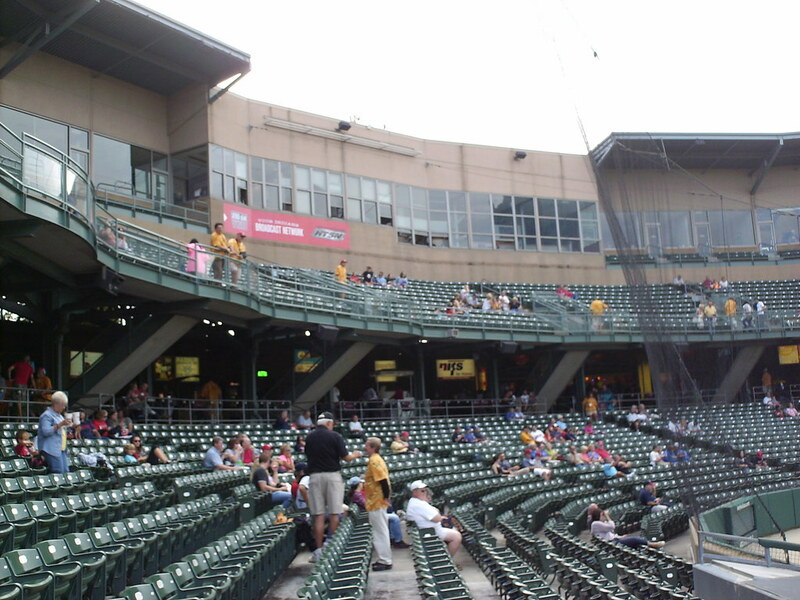 Group seating at the top of the right field concourse. 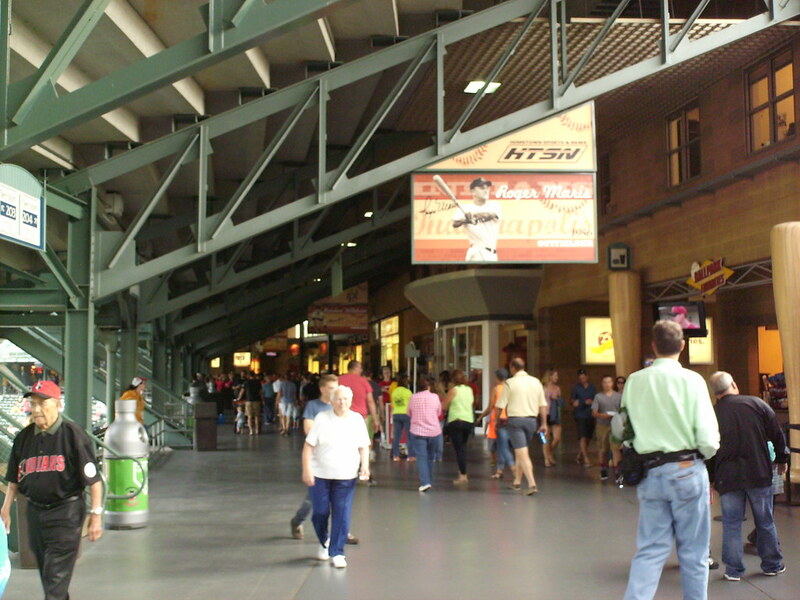 The concourse at Victory Field, featuring banners of former players, like Roger Maris, who passed through Indianapolis on their way to the Major Leagues. 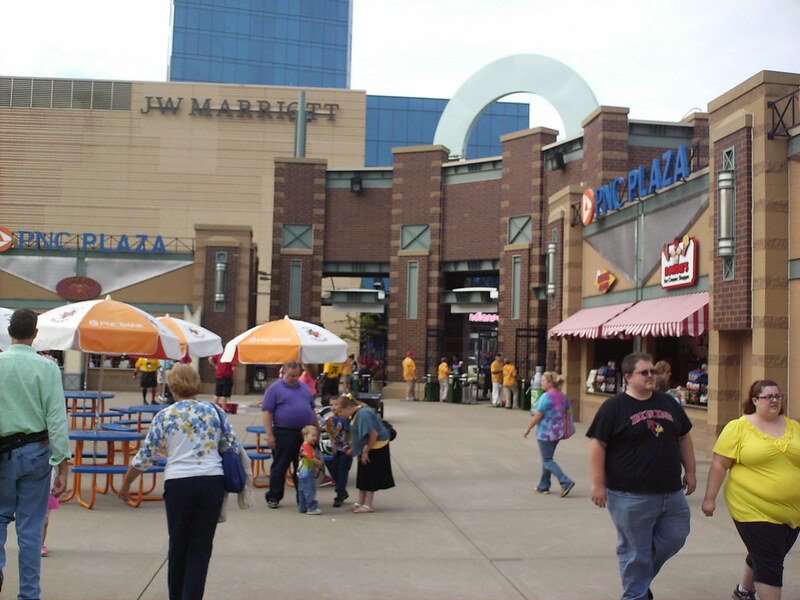 A large open plaza inside the center field gate features concessions and carnival games. 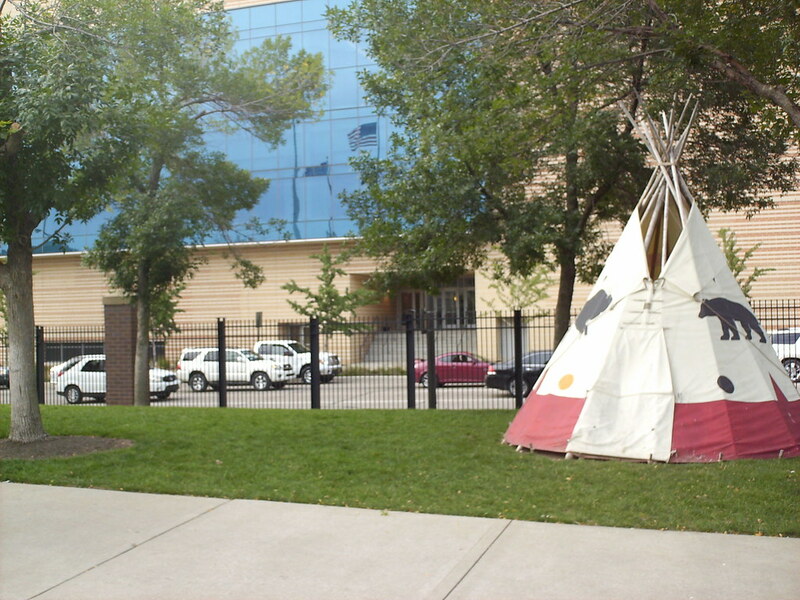 An "Indian" teepee on the outfield concourse. 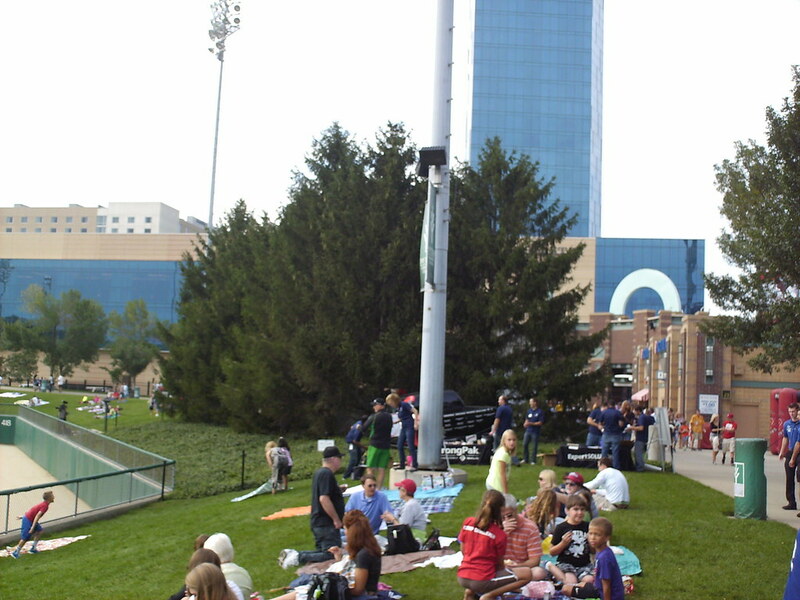 Berm seating wraps around the outfield fence, and the batter's eye is a grove of evergreen trees. 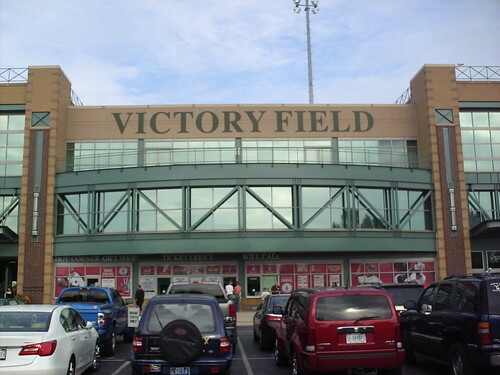 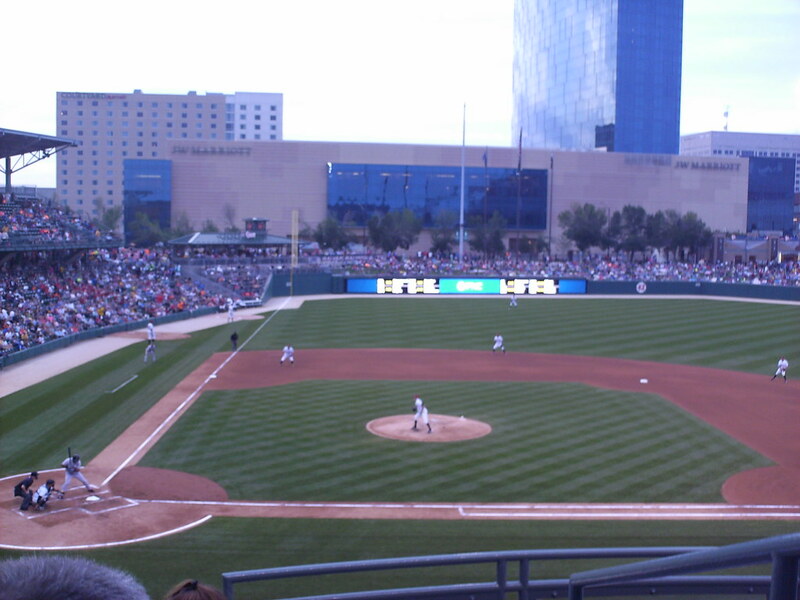 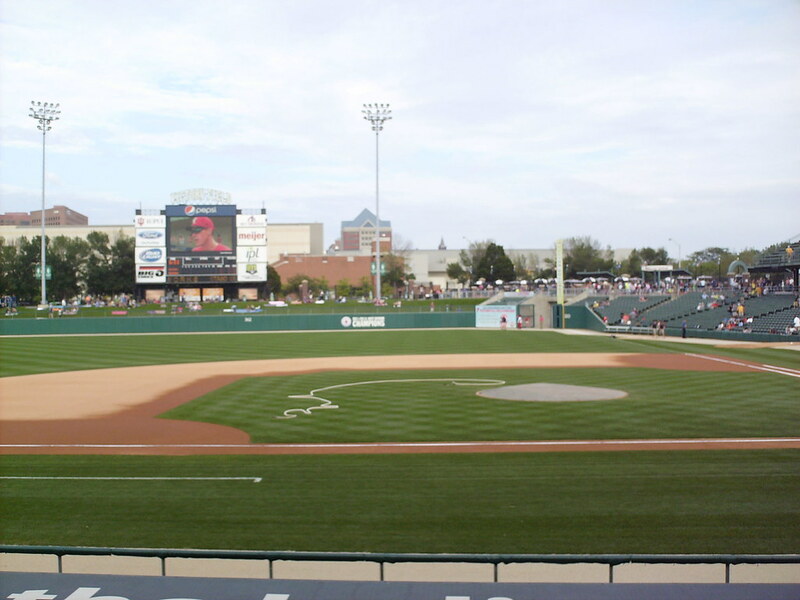 Victory Field takes its name from the Indians former home in Indianapolis, which was named following the end of World War II. 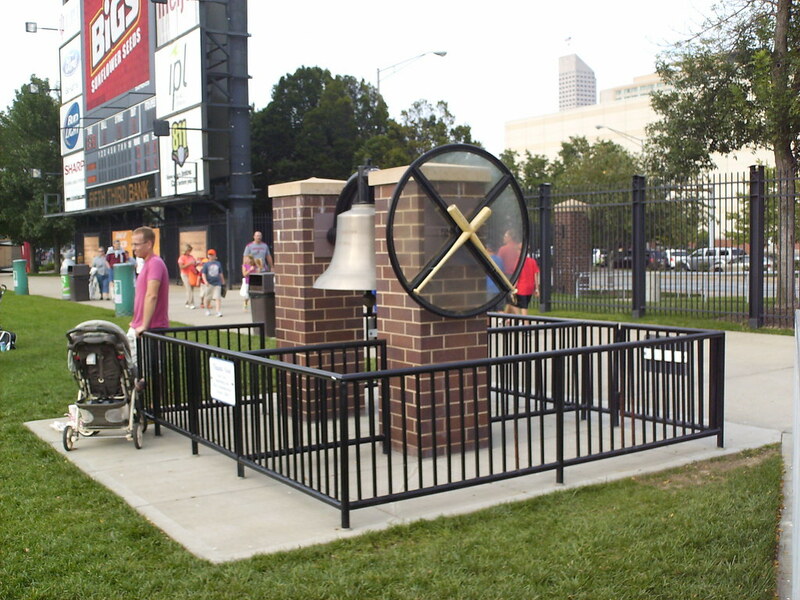 A memorial to soldiers of that war stands on the right field berm. 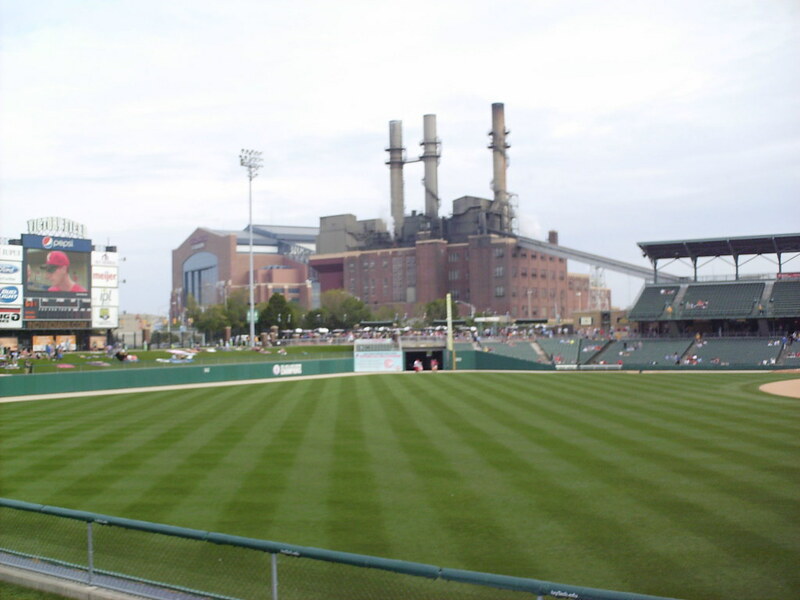 A power plant and the NFL's Lucas Oil Stadium tower over the right field corner of the ballpark. 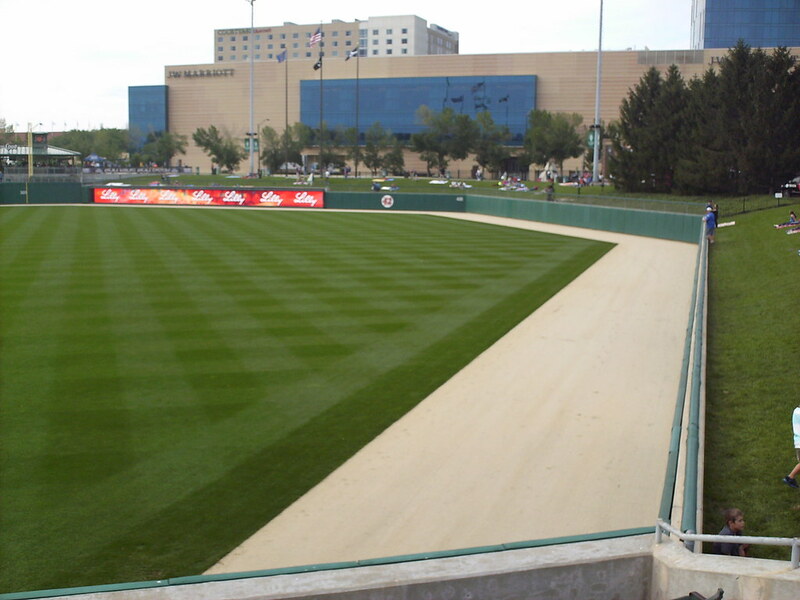 The outfield wall features several sharp corners, creating a squared off center field, and gets taller as the fence moves toward left field. 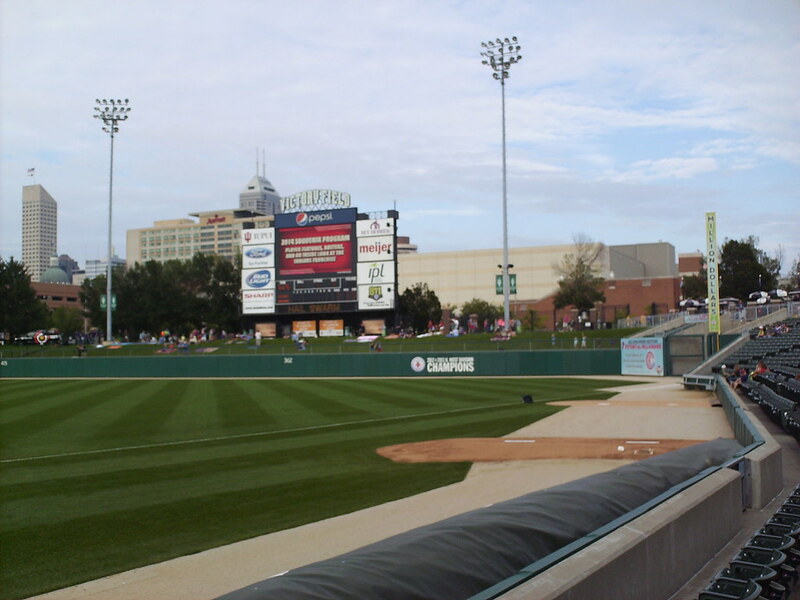 The Victory Field scoreboard, with the bullpens in foul territory. 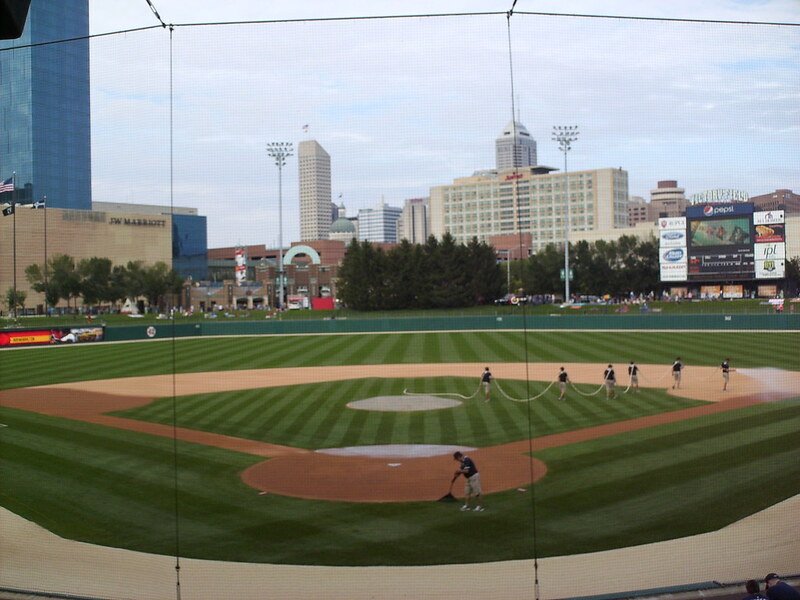 The Indianapolis Indians on the field during a game at Victory Field.